With some of the most decorated martial artists on our staff (including two black belt world champions), we are the the premiere martial arts school in the area. Regardless of who you are, we want to work with you to look, feel, and be your best. The following organizations have hosted us, Currently sponsor us, or are affiliated with us. we are the most trusted and proven martial arts school in the region. WHAT MAKES SPARTAN MIXED MARTIAL ARTS SO DIFFERENT? Our story begins with Grand Master Jun Lee, a world and Asia champion in Taekwondo. Since 1999, 5,000+ students have gone through our school. We are a martial arts school that specializes in teaching self-discipline, self-control, and self-defense. We strongly believe that martial arts should strengthen both the body and character. Our Taekwondo program maintains a membership through the World Taekwondo Federation and Kukkiwon. Our school has won multiple national and state level titles. We are the ONLY martial arts school that is nationally ranked in Taekwondo demonstration in all of MD, DC, DE, and PA.
Our Muay Thai Kickboxing program is led by Coach Matt Skibicki. Coach Matt is a Cagezilla Featherweight Champion with a pro record of 3-0-0. Our Brazilian Jiu-Jitsu program is led by Professor Vicente Junior. A 4th Degree De La Riva Black Belt in BJJ and a world champion, he is one of the most decorated and highest ranked fighters in his class. Our school maintains an affiliate membership with the Vicente Junior Jiu-Jitsu Team. As martial arts has grown in popularity over the years, the industry has become highly commercialized and profit-driven at the expense of a genuine experience. We are NOT a franchise or a "cookie-cutter" school. We are NOT a "belt factory." You can expect a great level of flexibility and a highly personalized experience to meet your needs. Grand Master Jun Kul Lee is one of only two internationally-ranked gold medalists in Taekwondo in all of MD, VA, DC, and PA. Discover how self-confidence, self-discipline, and self-control carried these students to winning at national level competitions two years in a row. Featured on FOX45 Baltimore News on March 21, 2016. Photo: Santa Clara, CA, USA (1981 World Games). Grand Master Lee is the only international-level Taekwondo gold medalist (1981 World Games) in all of MD, DC, DE, and PA. He is also a gold medalist in the 1980 Asian Taekwondo Championships. He is currently an 8th degree black belt in Taekwondo (Kukkiwon), 7th degree black belt in Hapkido, and 5th degree black belt in Haidong Gumdo. He retired as 1st Lt. from S. Korea's 707th Special Missions Battalion (the highest level of elite special operators in S. Korea) and as Capt. from S. Korea's Secret Service. Professor Vicente is a 4th Degree De La Riva Black Belt in Brazilian Jiu-Jitsu (BJJ) and a brown belt in Judo. Some of his accomplishments in BJJ include multiple state titles, an undefeated record in his home state in Brazil, two-time regional champion in Rio de Janeiro, third place in the World Cup (2005), bi-champion of Rio de Janeiro (2006), first place at the Pan American Championship (2007), first place in the World Championship (2008), and first place at the New York Open (2009). He is also a certified international IBJJ referee. He hails from Conquest BJJ in Millersville, MD. Professor Brian is a BJJ black belt and trained under Professor VJ. He's a IBJJF medalist and a Fight to Win Pro veteran. Professor Matt is a BJJ black belt and trained under Professor VJ. He's also an amateur MMA fighter. Coach Matt is a Cagezilla Featherweight Champion with a pro record of 3-0-0. Master Ivan is a 5th degree black belt in Taekwondo (Kukkiwon). 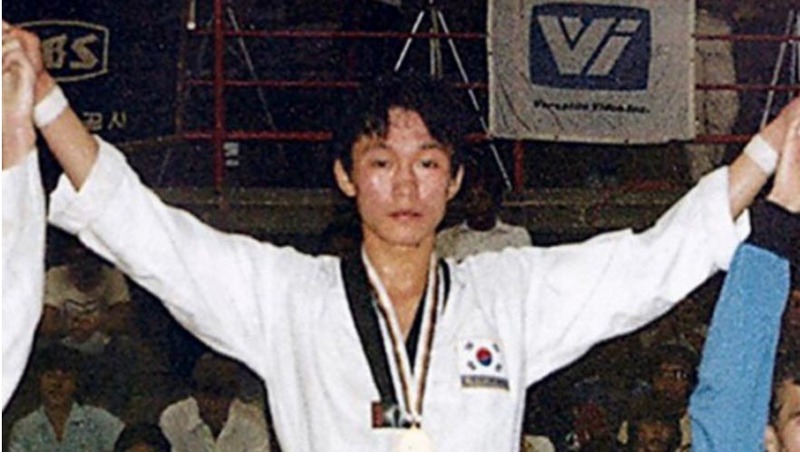 He was the captain of the Kyung Hee University’s Taekwondo Demonstration Team before graduating. Kyung Hee University is the alma mater of Grand Master Lee and both of the presidents of the World Taekwondo Federation and Kukkiwon. Master Matt is a 4th degree black belt in Taekwondo (Kukkiwon). He is a graduate of Kyung Hee University in South Korea and received his undergraduate degree in sports medicine. Esther is a 1st degree black belt in Taekwondo (Kukkiwon). She received her undergraduate degree from UMD and her PharmD from Howard University. Ms. Debra is an Army veteran and a retired teacher with over 20+ years of experience working with the Baltimore City, Prince George's County, and Howard County School Systems. She received her Masters in ESOL from the College of Norte Dame. Jason received his undergraduate degree from UMBC. He's also a graduate of River Hill High School. Little Spartans is a special program for three to five year olds. This program focuses on basic Taekwondo instruction with special attention given to instilling self-control, self-discipline, and coordination. We do not keep your kids busy with activities. We train champions. In addition to fitness and learning self-defense, kids in our classes learn: improved listening skills and focus, self-control, coordination, balance, memorization skills, self-esteem, respect, conflict resolution, self-discipline, and goal setting and achievement. For students eleven and up, we offer Teen and Adult classes. Instructors emphasize a good conditioning workout into Taekwondo training. After a good warm-up combining stretching and cardio you will be ready to learn proper kicking techniques, foot work, and forms that will soon transform your mind and body. In addition to the many benefits of learning martial arts for kids, family classes are a fun way to spend time together and exercise as a family. We have over 30 years experience teaching families martial arts skills. Muay Thai Kickboxing is world renowned for its rigorous training regimen as Muay Thai fighters are recognized as some of the best conditioned athletes in the world. Muay Thai is an ideal martial art for people of all walks of life, no matter what your personal goals are. Video features Coach Matt Skibicki. Brazilian Jiu-Jitsu (BJJ) is a martial art and combat sport that focuses on grappling and ground fighting with the goal of gaining a dominant position and using joint-locks and chokeholds to force an opponent to submit. Learn from 4th Degree World Champion, Vicente Junior, and his team. We are an affiliate school of the Vicente Junior Jiu-Jitsu Team. Our after school care program will help with your busy working schedule by taking a personal interest in your child’s after school activities. After school care includes: transportation from your children’s school to our school, help with homework assignments, a variety of games during play time, and regular Taekwondo lessons and children's MMA for a fun learning experience! Little Spartans is a special program for three to five year olds. This program focuses on basic Taekwondo instruction with special attention given to instilling self-control and self-discipline. Kids’ MMA, for children ages 8 to 13, is a full-contact combination of wrestling, boxing, kickboxing, Judo and Taekwondo. Students will learn techniques from a variety of sports and martial arts that include both striking, grappling, and self-defense. Private training sessions are a great way to reach your goals! Do you feel uncomfortable in regular class settings, or are you simply looking to supplement your martial arts training? Our world class instructors are available for intense, dynamic personal training sessions or small group sessions for both kids and adults. Our camps run during the summer/spring. During the day, campers participate in a variety of activities including Taekwondo classes, Six Flags (summer only) swimming, bowling, movies, laser-tag, and much more! Daily hours: 8AM-6PM. Parties usually start on Saturdays at 1:30pm (for 1.5-2 hours). They usually include: setup, cleanup, a thirty minute Taekwondo lesson, fun activities, and much more! Try TWO classes for FREE! Whether you end up sticking around or joining another school, we just want you to have the best martial arts experience possible. That is our primary goal. So come try us out with no obligation or cost to you! To get started fill out the form below.